Antonio Conte’s agent, Federico Pastorello, says the Chelsea coach will see out his contract at Stamford Bridge next year. 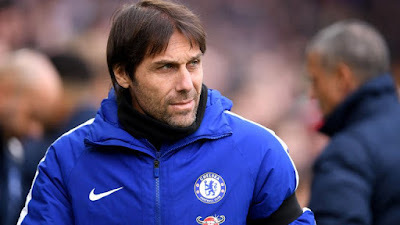 Conte, who has come under intense scrutiny in recent months amid talk of unrest at Chelsea, had publicly criticized the club board for failing to bring in his signings and rumours that he will quit the club in the summer have been circulating. However, Pastorello, believes his client will see out his deal which expires at the end of the 2018/19 campaign. “Conte has already been through that experience and prefers to work with the squad on a daily basis,’ Pastorello told Rai Sport. “I see him at Chelsea next year, as he has a contract valid for another season-and-a-half and doesn’t like to leave things unfinished,” he added.